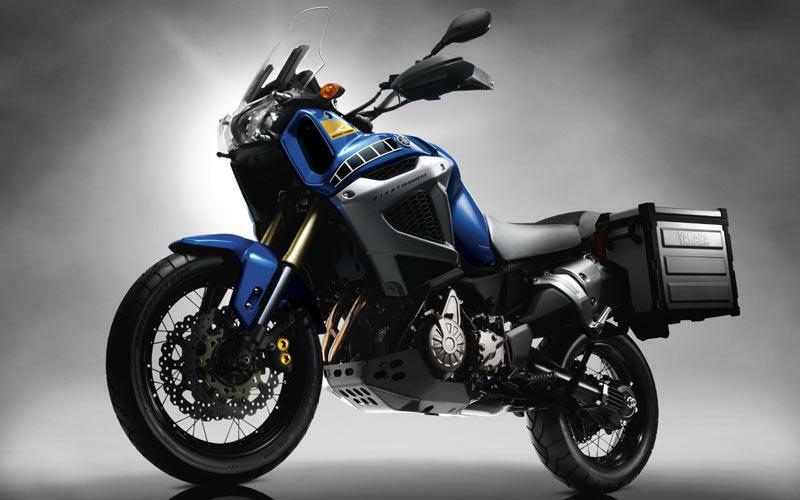 Yamaha has revealed the finished version of their new Super Tenere 1200. 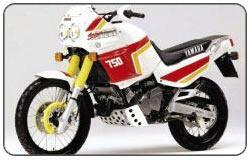 It's the bike they hope will rival the BMW GS and give them a strong footing in the adventure sport market. Inspired by the Paris-Dakar racers which were campaigned to victory by Cyril Neveu and Yamaha Motor France in 1979 and ’80. 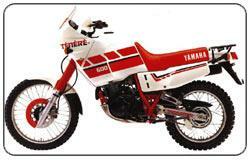 Basically an XT550 with an overbored engine, big, rally-style 30litre tank and race colours it soon became a best seller, particularly in France. 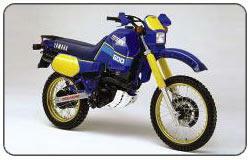 Second generation Tenere single intended to be even closer to rally bikes. Although fuel capacity down to 21 litres, power up to 46bhp thanks to new carbs and air box. Also gets electric starter for first time. 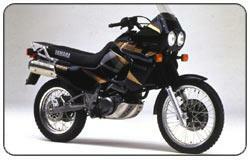 Complete redesign with frame-mounted fairing incorporating twin headlights. Tank capacity back up to 23 litres, engine completely reworked and disc replaces drum rear brake. 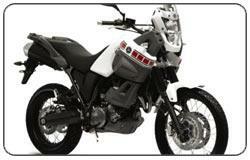 All-new parallel-twin version of Tenere complete with twin front discs and massive 26-litre tank. 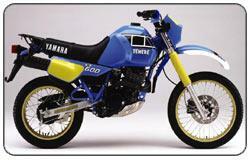 Race 750 and then 850 versions went on to win Paris Dakar a total of six times. Model discontinued in 1996. All-new five-valve, liquid-cooled version of single is good for 48bhp at heart of complete redesign. Slimmer, less rugged and more road bias than before, with smaller 20-litre tank and shorter stroke suspension. Final version of last generation single cylinder Tenere had more streamlined bodywork with dual beam headlamp inspired by Super Tenere twin. Deleted 1998. All-new single cylinder Tenere based on 2004 XT660X, complete with updated styling and spec but traditional Tenere large tank, touring screen, long travel suspension and race colours. 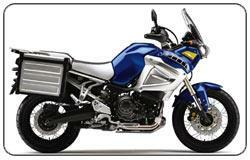 The all-new 2010 Super Tenere follows the same basic template as the old XTZ750 - parallel-twin engine, twin headlights and a steel frame. Only now it packs more tech than an R1, with 3-way traction control, linked ABS and a crossplane crank. 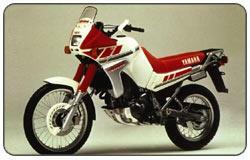 Thinking of buying a Yamaha Tenere? Get motorcycle insurance quotes from lots of providers in one place with MCN Compare.